(Jan. 17, 2014) — Kentucky Poet Laureate Frank X Walker has been nominated for an NAACP Image Award. 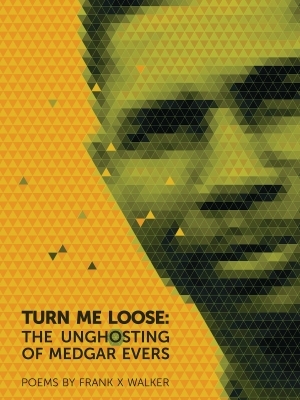 Walker, founder of the Affrilachian Poets and an associate professor of English at the University of Kentucky, is being recognized for his most recent book of poetry, "Turn Me Loose: The Unghosting of Medgar Evers." The book, revolving around the civil rights leader's 1963 murder in Mississippi, was published last year, the 50th anniversary of the killing. Walker crafted the poems in the voices of individuals central to the event: Evers' widow, Myrlie Evers; his older brother Charlie; the white supremacist assassin who killed him, Byron De La Beckwith; and De La Beckwith's two wives. The NAACP Image Awards program, now in its 45th year, celebrates the "accomplishments of people of color in the fields of television, music, literature and film and also honors individuals or groups who promote social justice through creative endeavors." Walker is nominated in the category of Outstanding Literary Work in Poetry. The award recipient will be announced Friday, Feb. 21. Listen online to Walker reading from his work on a radio program produced by Lexington's NPR affiliate, WUKY 88.1 FM, at http://wuky.org/unghosting-medgar-evers.